This is my new favorite doctor. Very patient and caring. Shows true concern and takes the time to listen i neverfelt rushed with him. Very gentle and has great bedside manner. I wish he was also primary care! Thank you Dr. Morrison! This is my new favorite doctor. Very patient and caring. Shows true concern and takes the time to listen i never felt rushed with him. Very gentle and has great bedsidemanner. I wish he was also primary care! Thank you Dr. Morrison! If you are experiencing shortness of breath, chest pain or any other emergency, please call 911. 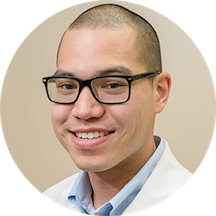 Dr. Kasey Morrison is a skilled and experienced urologist serving the community of Silver Spring, MD. Dr. Morrison obtained his medical degree from the University of Virginia. He also completed his internship in general surgery and residency in urology at the same institute. Dr. Morrison is a member of the American Urological Association, Southeastern Section and the Virginia Urological Society. Patients rely on Dr. Morrison’s expertise because he consistently provides high quality care that leads to positive and lasting health outcomes. His approachable demeanor helps make patients feel at ease, while his crisp, thorough explanations help patients understand their conditions better. Dr. Morrison is an excellent doctor. I was accidentally kept waiting for an extra hour for reasons that were not explained to me. If I had not spoken up I'd probably still be there. Evidentally, impatience would have been a virtue in this case. This is my first zocdoc review - Dr. Morrison has probably the best bedside manner of any doctor I've ever seen. I felt like my problems were his only concern in the world for our 10 or 15 minutes in theexam room. He listens attentively and seems in no rush whatsoever. He seems like a really caring, competent doctor. Could not recommend more highly. Wow....a doc who actively listened and answered questions, all without me feeling rushed (though I tried to be mindful of his time)...even the DRE, not always the most pleasant thing to have done, was amazingly comfortable and much more thoroughthen I can remember from other docs...we talked at length about the next possible phases, again, in a very calm and professional manner. I'm very happy that I went to see Dr. Morrison. He was very friendly, he was not rushed, he took his time in listening to the problems I've been experiencing. Before seeing me he looked at my medical history that wasavailable to him. So he was prepared and then he didn't over prescribe any medication nor was he pushing for any particular option to my problem. He's just a very nice and very competent physician. And I was able to make an appointment within 24 hours, which is unheard of with urologists. Staff was very friendly. Dr. Morrison saw me promptly and spent a lot of time listening to me and explaining his diagnosis and thoughts on best action for my condition. If I could give more than 5 stars I would. Youcan tell he really enjoys what he does and enjoys helping patients. Urological problems are unnerving but Dr. Morrison’s kind demeanor and clear expertise put me immediately at ease. I admit I found Dr. Morrison by sorting the list of D.C.-area urologists by availability. After meeting, I’m absolutely baffledhe had availability in under two weeks - he’s a gem. I think the location turns would-be D.C. patients off (is my best guess) because he truly fantastic. There may be a small wait from your scheduled time but it’s entirely worth it - it’s likely because Dr. M doesn’t rush to get you out the door but takes his time to really understand what’s going on. I hope I don’t need him again but I’m extremely happy I found him. Dr. Morrison was very professional. He listened to my concerns and I did not feel as though I was being rushed. He gave me a timeline of how he will treat my issue. I really appreciated him. He was very relatable, down to earth. He took notes as I was talking about my symptoms. He remembered what I told him and talked through all my options. He was very nice and let me askall my questions. He left me with reading material on my symptoms and a few prescriptions for places closer to my house. The best Dr. I had, he really spend time to talk to patient and showed his concern for the best of the patient. The staff was very professional and friendly. The place was clean and easy to find. The doctor was perfect. He made me feel comfortable, listened well, asked questions, sought permission to examine and explained all options for treatment.I forgot to ask a question and called back, and he responded in less than 5 hours, which is very rare and commendable. Overall excellent experience. He was incredibly knowledgeable, kind, and patient. He answered all my questions and never made me feel rushed. He thoroughly explained the basic biology behind my ailment without being condescending or overly complex. Dr. Morrison is probablythe kindest doctor I've ever seen. I left his office feeling more educated and relieved. I couldn't recommend him more to anyone looking for a good Urologist. Dr. Morrison has the best "bedside manor" of ANY physician I've ever visited. He took much more time than I would have ever imagined to understand my situation. I'm very impressed. Thank you so much. Dr, Morrison was very knowledgeable and really understood my situation. Dr. Morrison was very kind, excellent bedside manner, very knowledgeable and very thorough. I would highly recommend him. Great doctor. Super friendly, took the time to explain everything, and knew his stuff. Would Highly recommend. Great doc. Had availability when I needed it. Made me feel very comfortable and demonstrated strong subject matter knowledge. I highly recommend. I must say that I was very pleased with Dr. Morrison. He is everything the reviews claim: friendly, professional, knowlegeable, etc. He made me feel comfortable to ask questions and get thorough answers without feeling rushed. I would definitely recommend him without hesitation. Top notch doctor! Very easy to deal with. Down to earth. He cares about your wellbeing. Kasey was thorough and did a great job explaining everything to me. He really put me at ease. Dr. Morrison was young, friendly and very professional. I would recommend him to anyone. Explains results very clearly and is willing to negotiate dates of exam according to my schedule. Great doctor. Dr Morrison was extremely professional and kind. Listens to what you have to say and explains exactly what he will be doing. His office is run very efficiently and competently. Medical assistants were very caring and professional. Clean office and pleasant. Highly recommend Dr. Morrison. On time, answered all questions. Did not rush me. Dr Morrison is very friendly. He does a great job explaining things in detail yet also in ways that are easy to understand. Very personable but thorough as well.